Often we get asked about doing corrugated plastic signs or fluted plastic signs. There are several names for corrugated plastic – corflute, coroplast, flute board and others. In the sign industry we call it corflute. 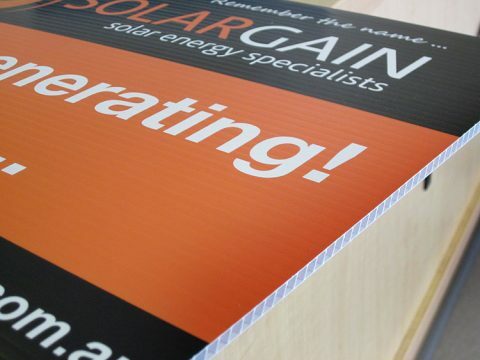 The simple fact is we produce corrugated plastic signs constantly. Corrugated plastic signs, or corflute signs, can be done in just about any size, from a small 200mm x 300mm safety sign, right up to a 2400mm x 1200mm large sign board. Corrugated plastic is ideal because it’s light-weight, waterproof and is comparatively strong. 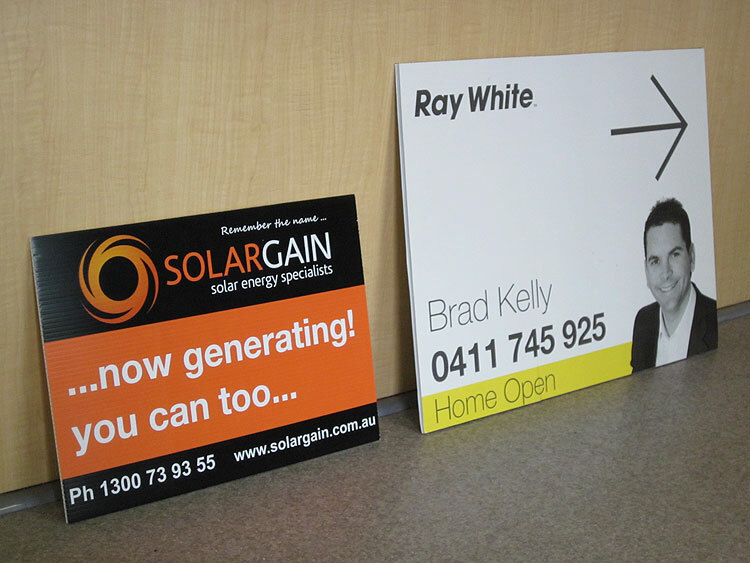 Perfect for temporary signage, fence signs, display signs or any other requirement for short term signs. 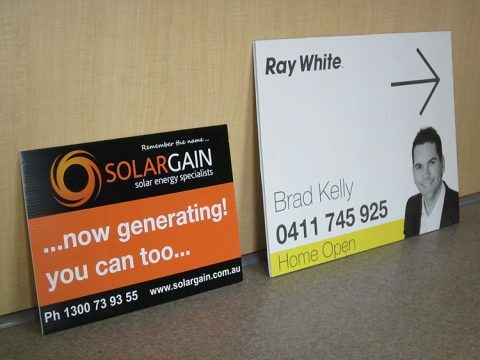 If you need corrugated plastic signs, then call Perth Graphics Centre and ask for a quote on your needs.